Who doesn’t love chicken noodle soup? 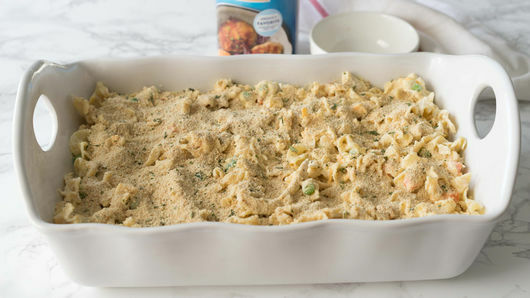 This chicken noodle casserole is the adult-approved version of the original classic. Even better, it cooks up in under an hour on even your busiest days! Often regarded as one step in fighting the common cold, chicken noodle soup has been around for more than 80 years. 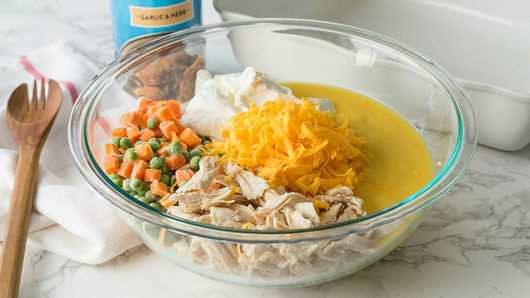 In 1934, Ernest Lacoutiere, the head chef of Campbell’s, reportedly invented the soup and called it “Noodle with Chicken.” The soup’s more familiar name “chicken noodle soup” became popular after it was mispronounced during a radio advertisement. 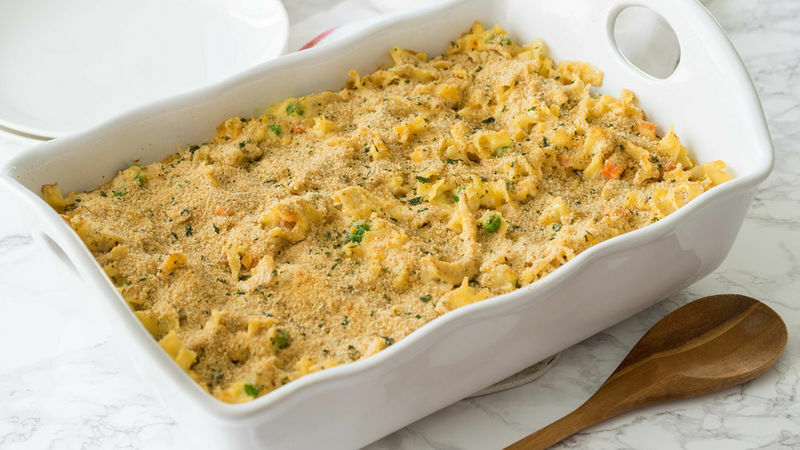 If you’d like more cheese and less noodle, our Doritos Cheesy Chicken Casserole pairs the Cool Ranch™ flavor with Old El Paso™ taco seasoning for a Mexican-style dinner your kids will also love. Feeling like a big kid? We have even more chicken dinners to satisfy your inner child.